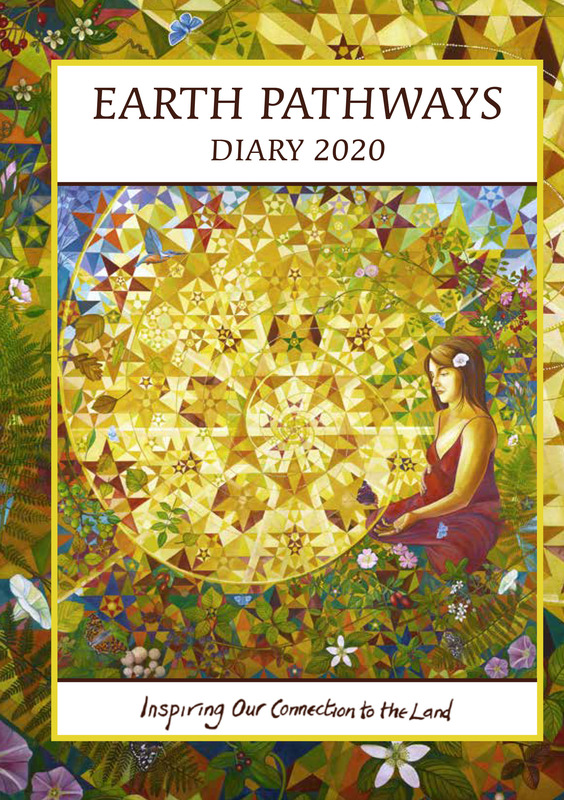 The 2020 Earth Pathways Diary will be available for purchase from early in July 2019. Make a note to come back then and order your copy of this beautiful diary! The 2020 Earth Pathways Diary celebrates the work of writers and artists who share a deep love for our land and a desire to live with appreciation and responsibility for this beautiful planet. More than just a diary, it is a networking resource and inspiration for the growing community of people who are willing to actively create positive change in their lives for the benefit of the Earth. The diary includes UK sunrise, sunset, moonrise and moonset times, moon phases and signs and some astrological information. It journeys through the seasonal cycle of the year, with a focus on each of the Earth Festivals. There are week-at-a-view pages, month-at-a-view planners, a year planner and notes pages. The diary is A5 in size and spiral bound.